Monitor is an occasional column written at the crossroads where the arts, popular culture and technology intersect. 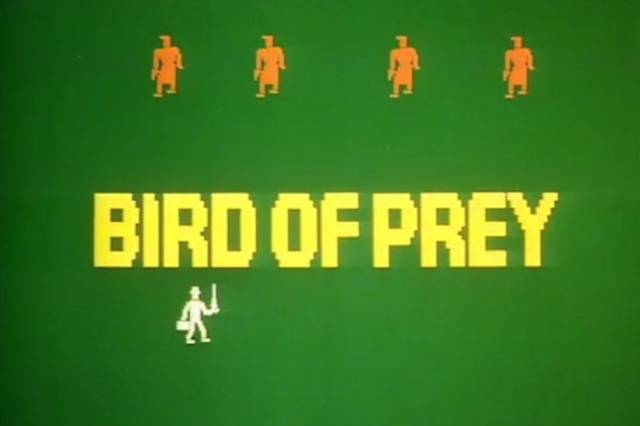 In this first instalment, we look back at the BBC’s IT-themed Bird of Prey, a four-part conspiracy thriller “for the electronic age” and cult geek favourite. 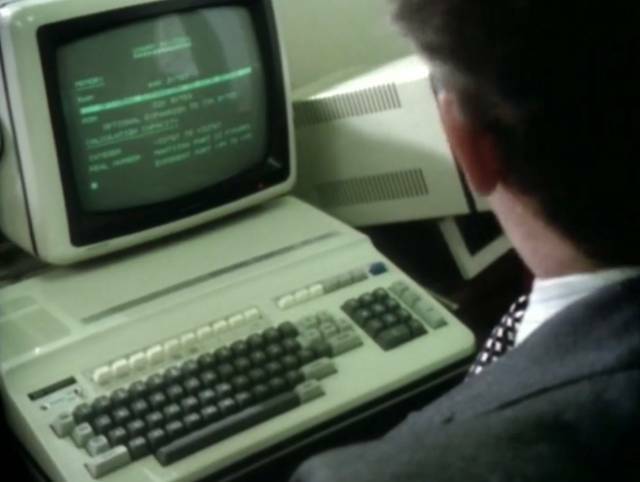 Let’s be clear about this right from the start: Bird of Prey, the fondly remembered 1982 BBC drama, isn’t actually about computers and nor does it centre upon a “computer-based conspiracy”, as the Corporation’s publicity department described it at the time. Yet this “thriller for the electronic age” does feature computers prominently and, on the whole, it does so fairly realistically. Written by Irish-born but English-raised playwright and screenwriter Ron Hutchinson Bird of Prey, centres on the murky dealings of a British Euro MP, aided - or perhaps controlled - by a nebulous network of the rich and powerful owed and owing favours. It has a name, Le Pouvoir, literally ‘the power’, an overtly Continental nom de guerre that tells you straight up that the show is playing on contemporary fears of a loss of control to faceless foreign powers. Fears too of "the ever-seeing eye" and that we would soon have to wave goodbye to "that increasingly rare condition called private". It’s also about the threat to the established order of the then new Thatcherite entrepreneurialism, typified by the rise of the City of London. Big money had been coming into the City since the late 1960s - it wasn’t a 1980s phenomenon - and the hardline into Europe had been established by the Heath Tory government in the early 1970s. But coupled with the new appearance of the home computer, and a greater awareness of the use of computers in communication, government and commerce, created a well of paranoia for Hutchison to tap. Computers aren’t the villains of the piece. 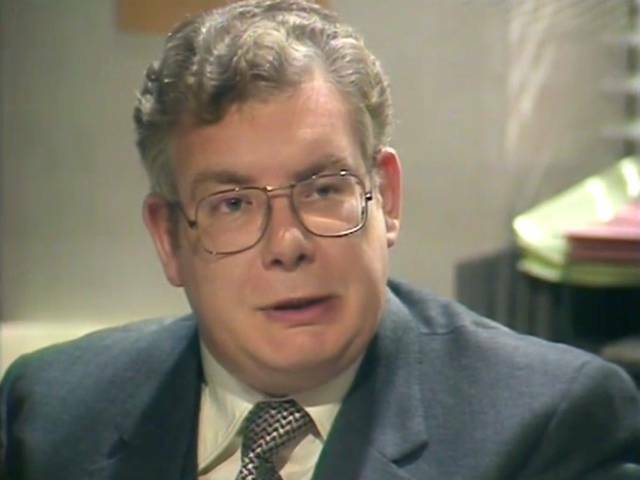 Bird of Prey’s unlikely hero, the unmasker of the conspiracy, is a Civil Service computer expert, Principal Science Officer Henry Jay, “another grey face on the 8.15”. Ironically, he’s no less a product of a rule- and regulation-led bureaucracy than the Eurocrats so many people feared at the time. But Henry’s civil service is benign, an old-fashioned, cosy world of well-defined routine - in and out on time, exactly an hour off at lunch - and deference: all documents to countersigned and data-stamped by your superiors. It’s all paperwork and permission slips, promotions boards and permanent under-secretaries. Despite Henry’s expertise in matters electronic, there are no computers in the CDC offices. The only background sound to be heard is the clatter of the electric typewriter in the next room. No such menial work for Henry and colleague Harry Tomkins, of course - a spare typewriter sits off to the side, unused. Henry himself is a harmless figure. He is overweight, under the thumb of an overbearing, unsatisfied wife, happy to spend his leisure time collecting stamps and listening to classical music, and to pen reports that will fill the filing cabinets of the fictional Department of Commercial Development. This is the old world of the typing pool, where Henry’s boss, Tony Hendersley, dictates to secretaries, his desk home only to a phone and a blotter. But Henry is not computer illiterate, and is able to harass his persecutors from the safety of any anonymous rented room with nothing more than a phone line and a personal computer. Prefiguring tasks we now take for granted, Henry searches remote databases and even books a British Airways flight to Brussels on his system. Henry’s expertise is computer security, but in this more innocent time he’s able to gain users’ log-in details by simply asking for them. The flaw is clearly the human. Him too: "You tripped a wire in computer security when you tried to get her records," he is later told.